Anyone who has ever lost weight as used appetite suppressants as some stage. If you want to lose weight, changing bad eating habits and switching to a healthy low-calorie diet is a must. Unfortunately, this important lifestyle modification is very hard to achieve. Any attempts to eat less food usually results in hunger pangs and these can be so bad they are main reason most dieters call it a day. That’s why so many diet pills are designed to control hunger urges. Although a number of weight loss drugs, including Phentermine and Belviq, have the ability to control hunger urges, so do a lot of the natural ingredients used in the diet pill formulations that can be purchased over-the-counter or online. The best ingredients curb hunger without causing side effects. None of the weight loss drugs can achieve this and you only have to take a look at the homepage on the Belviq website to get an idea of how severe the side effects can be. Belviq is not the only offender. The side effects caused by other appetite suppressing drugs can be equally bad. You can dress it up and embellish it all you want, and make any number of excuses, but the cold, hard truth remains the same. Everyone who puts on weight does so because they have eaten in a way that provided their body with too many calories. This can be achieved by piling too much on the plate at mealtimes and by snacking between meals. Even people who don’t appear to be overeating can still put on vast amounts of weight if the food they do eat is so laden in fat or crammed full of sugar it bombards the body with far more calories than it can use. The only way to make excess fat go away is to do an about turn and start forcing the body to accept a diet that offers such a limited amount of calories it causes an energy shortage. When the body is short of energy it starts to burn body fat to release the calories that were previously stored away. This is the most natural way to lose weight. It’s also the safest, but most dieters have become so accustomed to their “normal” eating habits they cannot make the necessary changes without the support of a good appetite suppressing product. 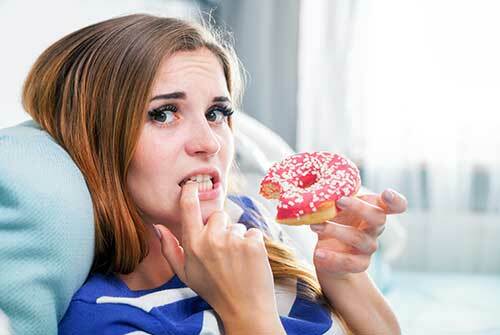 Appetite suppression can be achieved in a number of different ways. 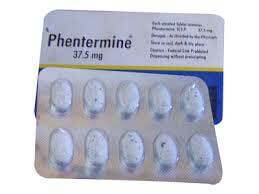 The Phentermine weight loss drug suppresses the appetite by causing hormone secretions that place the body in a state of fight or flight. This is a condition that normally occurs in response to a perceived threat. 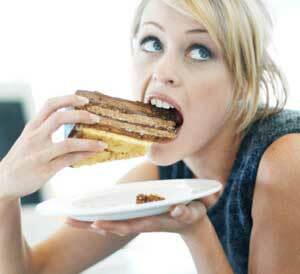 In a dangerous situation, any distraction, including hunger, could be fatal. Humans have evolved in a way that ensures the survival of the species so, whenever there is a possible threat to life, the fight or flight response kicks in and the appetite is suppressed. It’s not the only way the body responds during fight or flight, but its the only one that is likely to help assist weight loss. 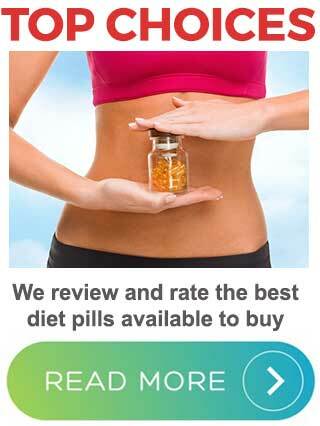 Diet pills that are available without prescription are designed to take a different route. A lot of them work by causing a feeling of satiety in the stomach. A full stomach is a satisfied stomach and whenever the stomach feels full it sends a signal to the brain that tells it to switch off the sensation we call “hunger”. The fat blocking ingredient, Chitosan, has this ability, but its secondary in nature. Chitosan’s primary value is fat blocking. Capsicum (red pepper) extract is also a good natural appetite suppressant, it’s ability to take away hunger is scientifically proven and there are no nasty side effects. 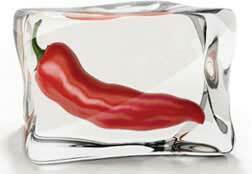 Unlike Chitosan, capsicum doesn’t make the stomach feel full, nor does it create a state of fight of flight, but the way hunger suppression is achieved is not the most important consideration. The most important thing is the hunger is gone. Caffeine is also a good hunger reducer and it’s a proven fat burner as well. It’s also great for giving you extra energy so, not surprisingly, many diet pills contain a quantity of caffeine. Chromium is another popular appetite suppressing ingredient because it has the ability to control carb and sugar cravings and helps prevent the post-feeding sugar spikes that can result in a desire for sweet food. Side effects are never desirable with a weight loss product, so prescription appetite suppressants are not a particularly good way to go. The top non-prescription diet pill choices can suppress the appetite without causing side effects, so they are easily the better option. However, although appetite suppression has a key role to play in weight loss, it’s worth bearing in mind the fact that experts recommend using a diet pill that combines appetite suppression with other abilities and provide a more complete level of support. Most of the top diet pills work in this way, so it’s quite strange that all of the prescription weight loss medications presently available have such limited abilities. 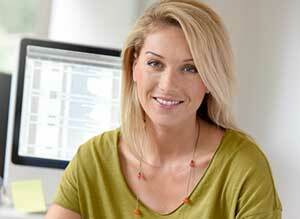 I’m Mary Emily CPD Accredited in Diet and Nutrition. I have a passion for fitness and writing so what better than to combine the two. I have a team of writers responsible for the articles and reviews on this website.